Feng Kai Ze and Da Tian Ting are childhood rivals. Feng Kai Ze is the love child of a ruthless tycoon. He resents his father for his mother’s death. When his father forces him to leave his mother’s hometown, he steals Da Tian Ting’s diary. Da Tian Ting resents her mother for abandoning her and her father to marry her mother’s first love. Unbeknownst to Da Tian Ting, her father’s friend betrays him by stealing her father’s invention. She believes her inheritance is from her father’s life savings. Da Tian Ting loves her father. She agrees to marry her father’s friend’s son. On the eve of Da Tian Ting’s wedding day, her fiance cheats on her. She cancels the wedding and breaks off the engagement. When Da Tian Ting hits rock bottom she reunites with Feng Kai Ze. She doesn’t recognise the adult Feng Kai Ze. She thinks he is a handsome pauper and plans to recruit him as her wedding date to her ex-fiance’s wedding. Feng Kai Ze recognises his childhood rival Da Tian Ting. Initially Feng Kai Ze wants to use Da Tian Ting to defy his father’s order for him to marry the daughter of a businessman who is blackmailing his father. Feng Kai Ze and Da Tian Ting join forces to take revenge on the people who hurt their mother and father respectively. Blind by revenge, Feng Kai Ze and Da Tian Ting can’t see cupid’s arrow targeting their hearts. MC loves her ex-fiancee, and think of him as her prince. She do anything for her ex-fiancee, saving money and not take care of herself to buy things for her ex-fiancee. But why does the ex-fiancee feels that MC is a frigid woman, even the time they hold hands can be count. So contradicting. The female lead worked like a dog for her uncle’s family, as well as that of her fiance’s. When their engagement broke, she realizes that none of them truly cared, so she’s whisked away by a hotter and richer man who spoils her the way she deserves, causing her to change her entire personality and appearance, while facing various obstacles to show how strong their love is and how determined he is to be with her. The author of this series is probably a neglected housewife who stays with the... more>> kids while her husband flirts with younger women. Instead of raging at him or leaving him, she writes and publishes her fantasies of doing so (and of hooking up with a better man). The story is probably suited to other neglected wives, but for everyone else, not so much. 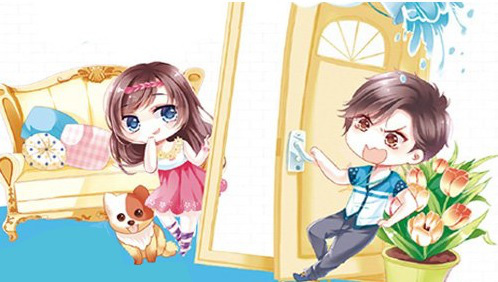 The main couple’s personalities are very cliched, with the MC allowing herself to be used as a doormat then feeling sorry for herself, while the male lead falls for her based on his impression of her decades ago. The side characters are really stupid, petty and forgetful, but I guess they resemble the antagonists in Chu Wang Fei, though less vicious. The story probably would’ve faired better in an ancient setting to explain the desperate need to grab a good husband. While women apart from the MC and her one friend are bitter, jealous and capricious and their husbands really are just decoration who occasionally feel bad for the MC but don’t do anything. Never once before I read a novel with so many unlikeable character. Not even in xianxia, where every arc will have their own set of hateful antagonist. Even the pitiful protagonist become annoying. Girl, be a little bit smarter, will you? Stop blindly making your own assumption. I know a male that couldn't take no might sounds powerful and interesting, but this one take it too far. It feels more like a hunter trapping its prey rather than romance story. I stopped reading after the male protagonist use his power to made sure the MC can't get a job. Just to made sure the MC agree to become his lover. Ugh. + he's acting like a stalker. If you are looking for drama, this novel might be the perfect one for you. If you can't stand it, don't bother.